Resurrecting this blog from the grave…with draping! I haven’t posted in this blog since the very end of August! So that’s 8 months! 8 months! A lot of things have gone on in my life since then. Some months were very overwhelming, December and January come to mind because of the passing of a beloved and very close family member. Work and night school has also been distracting. But I really want to start this up again and keep it simple – one post per week. That’s it. I’m not here to be an internet star but I’m here to keep my curious friends and family up-to-date on what I do in the sewing (and now knitting!) part of my life. Then drape it on our mannequin or dress form! I am draping the front of a very basic bodice with one bust dart. You start with the basic patterns to build slopers or blocks that you can then design from for all other designs. Basically, you want to get a basic pattern that will fit YOU, and then you can add pleats or peplums without worrying too much about the basic fit. In the previous photo, I had not yet formed the bust dart. In the photo below, I have pinned it! Isn’t it a lovely dart? Now we are going to add ease around the armhole. I have marked the original sideseam but we make a mark half an inch towards the back, redraw the sideseam and repin it. Now you can see there is some space around the armhole! I am having quite a lot of fun in this class. I have never draped before! This is all very new to me, at least the very action of manipulating fabric on a mannequin or dress form. In the sewing profession, we will call mannequins dress forms because the two serve different functions for us. You would put clothes on mannequins and then use them in displays. But you would use a dress form to actually help sew clothes and dress forms are more complex and generally built better. However, in this class we’re actually using mannequins as real dress forms are too expensive for the program. We had to prepare the mannequins with a ton of draping tape (all those lines you see!) to establish where the waist, hips, shoulders, etc, are. A draping dress form would have many of these significant design lines established already and you would just have to add a few more. Also our mannequins are very, very imperfect (mine doesn’t even have a stand!) and not symmetrical. I know humans actually aren’t symmetrical either but putting on the draping tape was a bit of a challenge. I hope I do well in the class, so far I am! 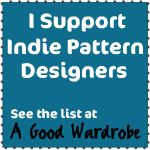 I am finding this quite easy, probably because I have pattern drafting experience. We will be doing cowls, ruching, shirring, and pleating later on. Woohoo! P.S. If you thought this blog post would be about Mad Men’s Don Draper…well you’re awesome.